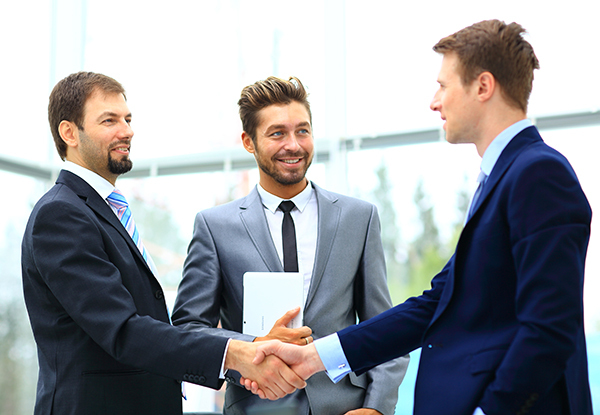 Coach Your Team to Be Super-Sellers™! Consultative Sales Coaching Certification(CSCC) designation is structured a bit differently than other licenses or certifications for many reasons. First – you don’t sit through separate training on our program through the typical three days and then bamm – you are certified. CSCC is a designation of experience. 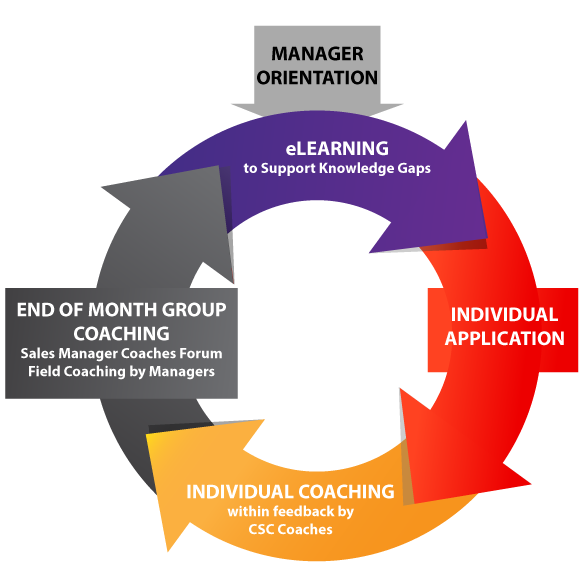 If you are a sales manager involved in the coaching aspects of Consultative Sales Certification with your team, you have the opportunity to earn your CSCC because of your proven coaching and support of the CSC behaviors. It means that you are actively coaching and supporting your team each step of the way as they journey through CSC designation. Support and Coach Your Team as They Progress through CSC – Just as you normally would – We provide the insights and tools to coach around the specific concepts that your people are learning. No heavy lifting on your part – let us do that! Just real-life coaching! Reach out to your designated CSC coaches at any time to discuss the progress and success of your team members! and ideas for sales meetings! Enroll Your Team in Consultative Sales Certification – As they are working through the program, we will work together to provide coaching and support. Attend Manager’s Orientation and Kick off – Here we will explain the coaching process in detail, introduce you to the learning and coaching platform and define initial goals for you and your team. e-Learning – You will have access to the same e-learning modules that your team members are working on. We encourage you to complete the modules or at least review them so you are acquainted with the key concepts and terminology that we are focusing on. Individual Application and Coaching – Your sales team members that are participating in CSC will practice their skills during customer interactions and report back on their experiences. CSC coaches will provide written feedback to each participant with practical ideas for evolving sales and service opportunities. This feedback is typically completed by CSC coaches. Optionally – you may also provide this written feedback if you opt to. Coaching Guides – We make it simple for you to coach and support your team. We provide you with coaching materials for each module that outline the key concepts. These being behaviors that you should see from your team members as a result of applying the skills and ideas for coaching individuals and while meeting in groups. Coaches Forums – As a manager, you will participate in sales coaching forums where we review the focus competencies, how to coach the concepts that your sales team members are focusing on. We also just talk – about what we are seeing – what you are seeing – and how to support the performance of your team. Best of all, will introduce management coaching techniques along the way. We believe training should be supported and coached. CSCC Designation is required for all Impact Sales Strategic Partners. 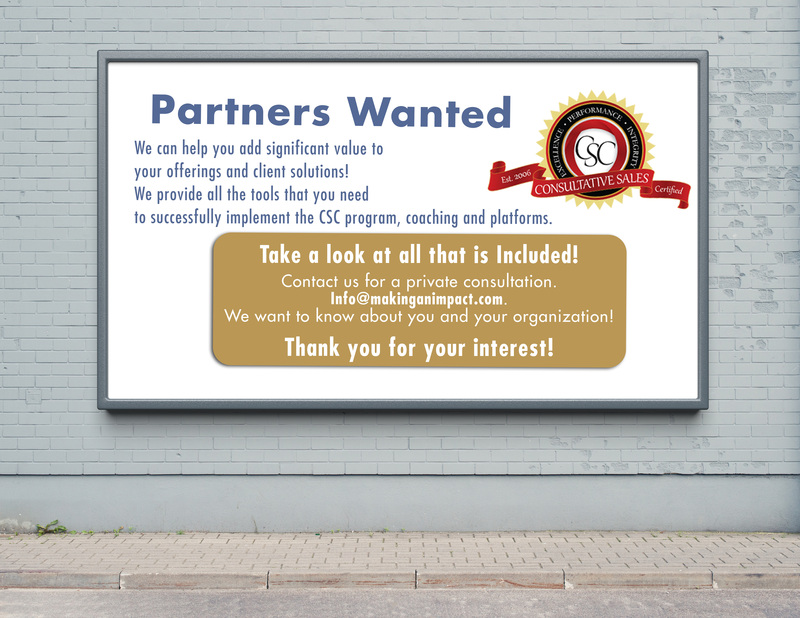 If you are an experienced trainer, consultant or facilitator and want to add CSC to your offerings, contact us for Partnership opportunities. 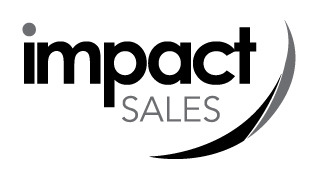 We provide you with all the tools that you need to integrate the Impact Sales Learning Platform into your offerings and programs. We are picky about our strategic partnerships. Therefore to us, partnerships are more about quality and right fit than quantity. Access to our CSC systems, platform and coaching. Access to our assessment platforms. All of the tools you need to incorporate CSC into your consulting practice. Access to CSC modules and ability to assign to client teams. Train the trainer- Coaching materials – everything you need to successfully coach and administer CSC. We coach or you coach – choose from an autonomous system or fully integrated. We can help you add significant value to your offerings and your client solutions!